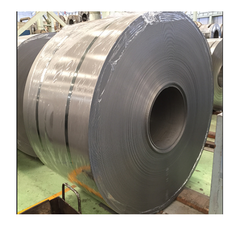 We supply Aluminum Alloy Slit Coil. We offer slit coil in customize width and length, we can offer you your blank sizes with minimum tolerance as per en standard. We have skill technical staff and high end machinery for slitting. Our entity is offering an extensive range of Slitting Coils. Experts make this product as per worldwide industry parameters and norms. Our service centre houses state of the art slitting machines capable of handling coils of upto 1000mm width & 7 tons weight. These slit coils provides numerous solutions to iron & steel industry in their processing works. These are available ion different sizes, shapes and thickness as per the clients demand. Tolerance : +/- 0. 10mm.